Or more precisely, a new study reveals what wasn’t a source of Mesoamerican turquoise artifacts. 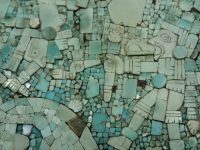 For a century and a half, scholars have posited that the the Aztecs and Mixtecs imported the prized turquoise they used to craft exquisite jewelry from the what is now the southwestern United States. A panoply of pre-Columbian turquoise mining sites have been found in Arizona, New Mexico, Colorado, California and Nevada, but the southernmost turquoise mines known from the geological, archaeological and historical record are in northern Mexico. There is evidence of trade between the regions — Mesoamerican parrots, cacao and copper bells have been found at Southwestern archaeological sites — particularly after 900 A.D., so it seems to reasonable to think turquoise might have been the other end of the exchange. 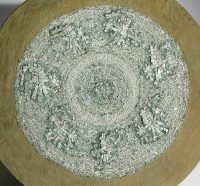 Attempts to determine the source of the turquoise in Aztec and Mixtec artifacts scientifically were made in studies from the 1970s through the 1990s using neutron activation to connect the element signatures from Mesoamerican turquoise objects to known element signatures from prehispanic mines in the Southwest. Some results were published claiming that the signatures did indeed match, but the data itself were never published, so they can’t be reexamined and verified today. 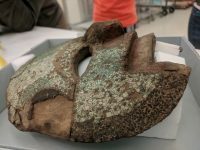 A new study by a team of researchers from the US and Mexico led by Dickinson College geochemist Alyson Thibodeau turned to stable isotope analysis to seek the source of the turquoise in Mesoamerican artifacts. 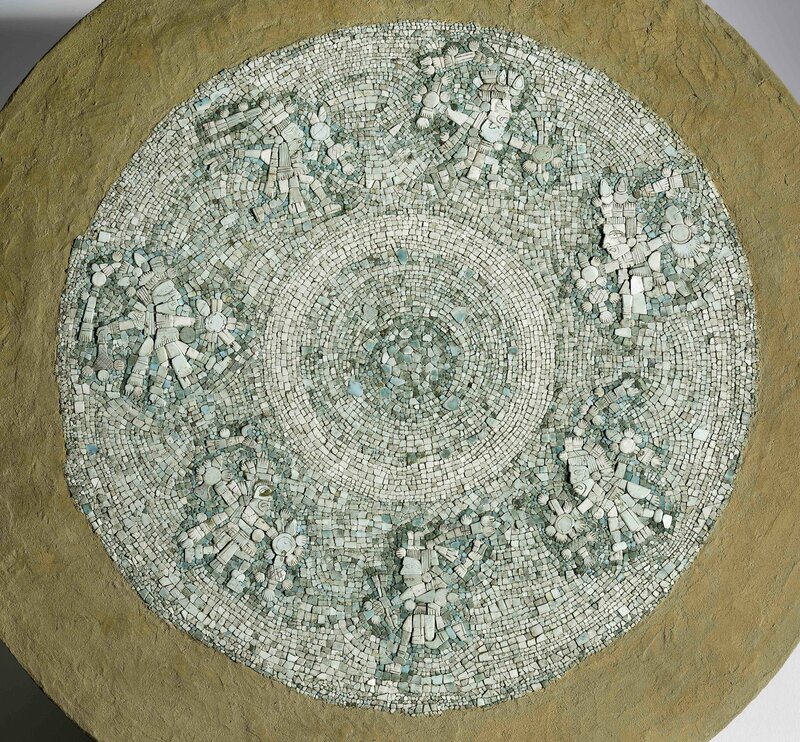 Thibodeau and her research team carried out analyses of lead and strontium isotopes on fragments of turquoise-encrusted mosaics, which are one of the most iconic forms of ancient Mesoamerican art. 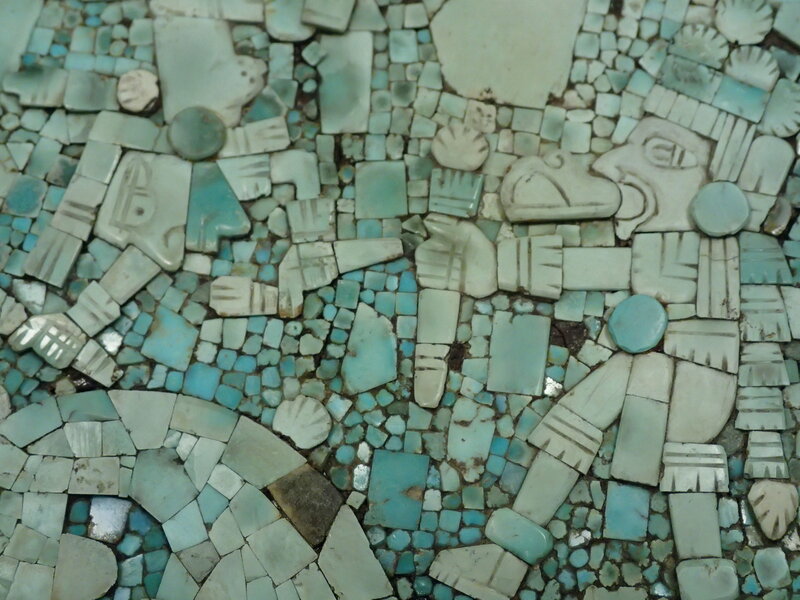 Their samples include dozens of turquoise mosaic tiles excavated from offerings within the Templo Mayor, the ceremonial and ritual center of the Aztec empire, and which is located in present-day Mexico City. They also analyzed five tiles associated with Mixteca-style objects held by the Smithsonian’s National Museum of the American Indian. The analyses revealed that turquoise artifacts had isotopic signatures consistent with geology of Mesoamerica, not the Southwestern United States. “This work revises our understanding of these relatively rare objects and provides a new perspective on the availability of turquoise, which was a highly valued luxury resource in ancient Mesoamerica,” said Thibodeau. What it cannot do is narrow down where exactly the turquoise did come from, because the mines have yet to be found. Turquoise deposits tend to be shallow and small, and since they are frequently found near copper deposits, once the stone is extracted the sites are destroyed in the much deeper and wider mining of the copper. This results of this study also cannot be applied to the whole period or geographic range of Mesoamerican turquoise production, because the examples used were relatively narrow in date and location of origin (insofar as they are known). The study has been published in the journal Science Advances and can be read in its entirety here.